Let’s face it: most of us probably have an appliance, a few board games or other various gizmos lying dormant around our humble abodes. What if, instead of collecting dust, they’re put to good use? 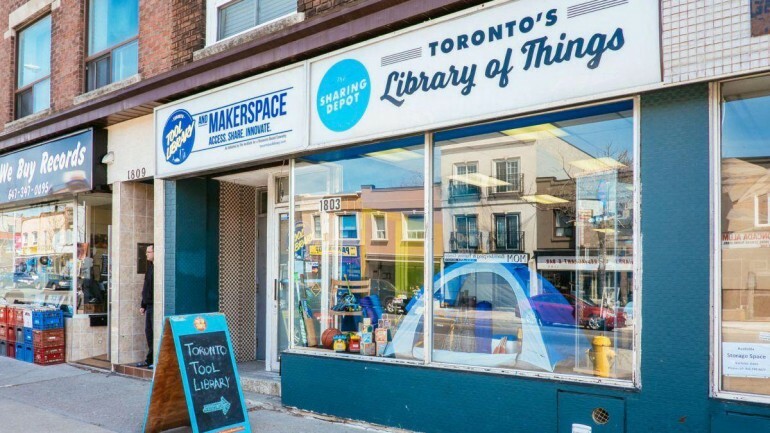 Enter the Toronto Tool Library, an organization offering to take seldom-used gadgets and more for recycling them into the communities that need them. 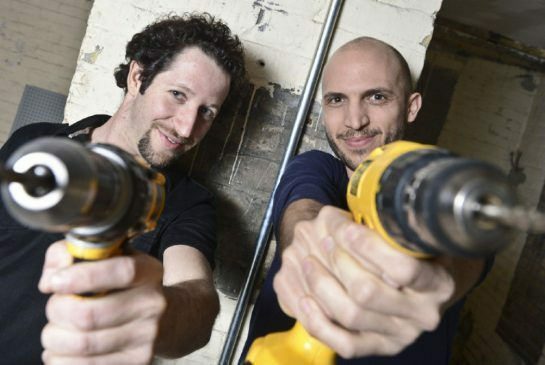 Opening its initial location in Parkdale in 2013, Toronto Tool Library’s founders, Lawrence Alvarez and Ryan Dyment, have built more than just a resource lending hub for things like hardware, camping gear, and party supplies. “The earth does not possess enough resources for [our] kind of consumption to continue. However, you also don’t want to compromise people’s quality of life,” the 32-year-old Alvarez said. The library, a brainchild of the Institute for a Resource-Based Economy, also founded by Alvarez and Dyment, aims to be a concrete solution for those seeking to reduce how much they consume. “We wanted to do something impactful, not just street activism,” Alvarez, carrying a background in environmental advocacy, said. “To actually build an example, to have a piece of this next world that we envision is possible,” he said. At their three locations within the city, Alvarez says the organization has more than 10,000 items currently available for loan, although the project’s growth wasn’t exactly by design. “Right after we opened the Parkdale location, this opportunity came up,” Alvarez said. “We had [someone] who donated [come] to our opening party in Parkdale and say, ‘Hey, I have a space on the Danforth, do you wanna come check it out?’ It was a complete shot in the dark,” he said. That shot in the dark became the store’s second location and, later, a third at Christie Street and St. Clair Avenue. The library was satisfying an unheard need. “When we started the Tool Library we were thinking, ‘Oh this is just a cute little project, let’s see how long we can keep it going,’” Alvarez said. Alvarez said the library wishes to cater to all of Toronto, whether it be families, tool junkies or students. “The mandate of the project is to be as accessible as possible. I want to be a viable alternative for people in the city,” Alvarez said. Among those who feel part of the library is Humber College graduate Rory Rennie, whose background in civil engineering has come in handy with his work at the Toronto Tool Library. “I host workshops on 3D printing, design and laser cutting. I volunteer in renovations, redesigns and cleaning,” said Rennie, a frequent patron of the library’s East York location. While the Toronto Tool Library has gathered a significant fan base in its first five years of life, the next few are uncertain for the non-profit. The library was hit with two heavy blows in recent months, the first being high rent. “Rent in this city is unbelievably high. Just our East York location is almost $6,000 a month in rent,” Alvarez said. “We’ve been grant-dependent from day one, primarily from the Ontario Trillium Foundation, the Home Depot Canada Foundation, Toronto Enterprise Fund,” Alvarez said. “Grant organizations aren’t typically giving money for operations, [it’s typically] for new projects. When you just have to pay rent and salaries, you’re not funded. It just doesn’t happen,” he said. While the library recently reached out to the public for help, with a goal of $35,000 being met and surpassed, Alvarez said that covers only the barest of necessities. “This is definitely a do-or-die time for us,” Alvarez said. Rennie, 27, was succinct about how he would feel if the organization had to close its doors. “It would be devastating,” the Torontonian said. Although Alvarez is frank with the library’s financial issues, he’s comforted by what caused the project’s success in the first place: the city’s desire for it. “I think we’ve received enough support to show that people really want [the tool library] to exist,” Alvarez said. To learn more about Toronto Tool Library, visit their website.